Y/N had been living with the pastas for about a month now, and she's even met a few other pastas too like the Bloody painter, Lost silver, Homicidal Liu, even Doctor Smiley. Living her new life with her new friends, well family now, Y/N couldn't be happier. But has Y/N and the pastas forgotten? The king of the Under Realm himself wants Y/N to be his queen and he will do anything in his power to get his way. Little did they know he has already made plans to take Y/N, by force or even by starting a war between him and the pastas. Will the pastas manage to keep her safe? Or will Y/N's new beginning come to an end? Chapter 4: Where Were You? Hello everyone! this is my very first story! So sorry if its not good...Anyways lets get started! If you don't have anything nice to say keep it to yourself please! This is my first story and I'm kind of nervous. Anyway please enjoy! Creepypasta x Reader: We're Comrades! You're a infamous serial killer called The Cutter. You arrive at the Slender Mansion and meet the Creepypasta's. Who will you be with, who will be your enemies? "That girl has no life." "That girl has no reason to live." "That girl does not belong here." "That girl should kill herself, I mean like we can come up with a plan heehee." 16 year old (Y/N) (L/N) has been avoided many years because of an incident. Nobody wants to be her friend and everyone hated her and every time she tried killing herself. She just kept coming back. She tried making new friends but every where she goes, everybody knows her and wants to remove her from the whole entire world. But when she meets a certain creepypasta everything stays the same but it will eventually STOP. Y/N is just a normal girl, with a normal life. At least it is normal to her. Ever since her little brother, Tommy, was killed at the young age of 4 by her father, her mother has been blaming her for it ever since. Your father has long since gone to jail and has been executed so the only person your mother had to blame was you. You soon couldn't take her daily beatings and seeing her drunk 24/7 didn't help your case either. 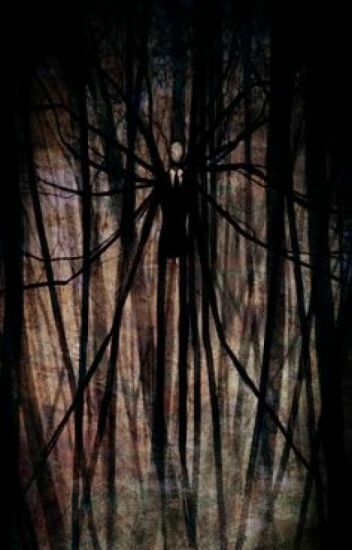 Soon one thing leads to another and lets just say, you meet a certain Slenderman who takes you to a group of people that change your life forever. Your soon lonely life is now filled with the love of your murderous friends, little did you know most of them loved you in a way more than you could ever know. [Y/N] is a high school girl living a normal, boarding, life. She didn't really have friends. She was quiet and barely spoke to anyone. She lived with her Mother and wonder why her Mother's doesn't ever mentions her Father or any other family member. She never bother asking. She didn't have to because one day when she's hanging out with a guy from school, things go wrong. Her Mother decided that the should move in with an Uncle from [Y/N]' Farther side of the family. Things only get weirder there.